I'd like to think my endless pestering of GoLite (http://www.golite.com/) to offer XXL and long's motivated them to finally do it. Regardless of why, I'm happy to report that GoLite is now offering XXL's in apparel. Hopefully they will make their packs and sleep systems longer too. GoLite is really a pioneer in the lightweight backpacking movement and heavily impacted by one of the premier lightweight founders - Ray Jardine - who had a great influence on the design of gear and its overall function. When GoLite started, it faced a huge hurdle against mainstream manufacturers and they clearly were able to persevere. 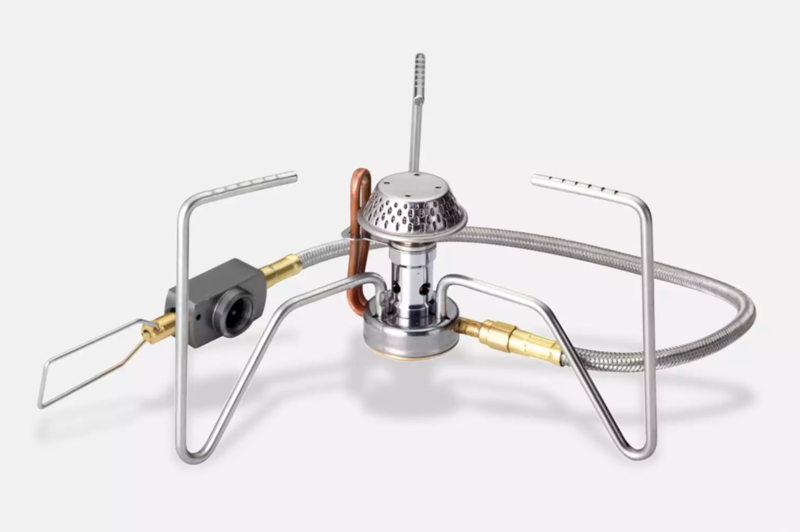 Although GoLite nowadays seems to be offering products a little heavier than I'd like when compared to their past history, they continue to offer excellent products which often aren't as hard on the budget as some other smaller cottage industry manufacturers. Check out GoLite.com to see their new website and many new products. True lightweight backpackers will generally tell you that a stuff sack is nothing more than unnecessary ounces. After all, a simple trash bag liner in your pack will do fine to keep everything safe and dry. Although this is true for the most part, few things are more annoying to me than emptying out my entire pack to find something that shifted to the bottom. It’s also aggravating to be unable to keep certain gear together. Sure cooking gear can be kept in a pot or cup, sure clothing items can be stuffed inside itself to be kept together, but overall it’s often nice to have compartmentalized gear to help keep it organized and readily available. Because lightweight backpacks generally don’t have extra pockets because that adds weight, compartmentalization can be achieved through lightweight stuff sacks. If you decide to use stuff sacks, you have a couple of options to keep things light. First, consider cuben/spectralite fiber as it is both very lightweight and waterproof. 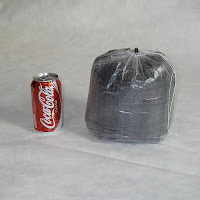 Two fairly well known cottage industry manufacturers offer very nice cuben fiber stuff sacks at different sizes. These include Mountain Laurel Designs (http://www.mountainlaureldesigns.com/shop/product_info.php?cPath=24&products_id=63&osCsid=ccde4637859ab4529d035b6ba04f828d) and Z-Packs (http://www.zpacks.com/accessories/stuff_sacks.shtml). Are they cheap? Well, not really, but they are lightweight and durable. Sea-to-Summit offers a variety of lightweight stuff sacks and also dry bags. Two I find useful when not using cuben are the Sn240 (http://www.seatosummit.com/products/display/38) and mesh sacks (http://www.seatosummit.com/products/display/36) which are good for bear bag systems when used in conjunction with something like an OPSAK (http://www.loksak.com/products/opsak). 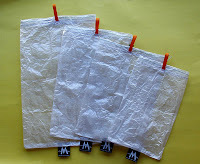 If you really want a lightweight and waterproof drybag, check out the new DriSeal Drybags by Mountain Laurel Designs (http://www.mountainlaureldesigns.com/shop/product_info.php?products_id=128&osCsid=fcfac61da0b58635a61bd753c81cef18). I typically avoid backpacking in the middle of summer principally because I hate dealing with the summer heat and bugs which are always in abundance in Virginia. With the days getting shorter, I'm reminded each day by the scenes in my front yard that backpacking season (at least for me anyway) is right around the corner. One of the things I fail miserably at is getting caught up in the hype about lightweight backpacking. When the forums start going wild and the technology police claim a new innovation, I quickly check my gear to see if I need an upgrade. If the answer is “maybe”, then the answer is really “yes”. A few years ago, the footwear manufacturer “Inov-8” hit the market. Their design was innovative and seemed to shake a fist at industry trends which required footwear to be constructed to some overly engineered design which only made sense to non-backpacking people in marketing think-tanks. The word spread – lightweight, functional, durable, and effective – and I bought two pairs. I have used those two pairs since then for year round activity. I think Montrail, Vasque, and Inov-8’s lead the local backpacking market, at least that’s what I’ve seen. Recently I had the opportunity to travel at bit both within the U.S. and abroad. In an attempt to cut down weight and items to pack, I started wearing a pair of my Inov-8’s “off” the trail so I could more easily transition between the cities and the wilderness in the event that an opportunity presented itself to hit the trail. This was actually a big change for me because my backpacking gear is a bit of a religion in my house. It is babied, stored privately, comes out only in special occasions, and is believed to turn into a pumpkin if exposed to situations which don’t accompany a compass. As a result, for the first time I was exposed to greater real world testing of my footwear against all surfaces great and small. What I learned surprised me – my Inov-8’s really weren’t that comfortable after all and I likely didn’t notice this on the trail because of the less hard trail surface and the brainwashing hype. Yes they were light, yes they had a good lug sole, yes they did extremely well when exposed to water, and yes they held up quite well. They also gripped slippery surfaces quite well. But the bottom line was that they didn’t have much cushion, even with the SmartFeet insole. I started thinking long and hard about my new revelation and wondered how much more comfortable I’d be while hiking with genuinely cushioned shoes. I typically have some free mental time to think about gear and life when I run each day after work. While running recently, it occurred to me that the very shoes I was wearing to run were the most comfortable pair of shoes I owned. Asics. I first learned of Asics in college when I played Division 1 basketball. I often trained with the girls cross country team, not because I was interested in running 10 miles, but because their first seated leader was of great personal interest. So, I bought a pair of Asics and ran both after her and to stay in shape. Cross country runners are specialty athletes much like backpackers. They too have unique gear which they swear by. They don’t wear their mini shorts or wear pasties because they are attractive; they wear them because they are utilitarian and functional. They wear footwear like Brooks, New Balance, and Asics while major names such as Nike and Adidias are left usually for people who cross train or who aren’t as emaciated. If you want to know where to find good footwear for a certain task – look to the experts who know what works best on pounding surfaces for hundreds of miles. My point…I checked with Asics to see if they offered a Gore-Tex running shoe. I only wear Gore-Tex footwear when I hike, not because I enjoy my foot being unnecessarily hot, but I’ve learned that the environments I hike have a tendency to wet untreated shoes and personally I hate wet shoes no matter how quickly they dry. I prefer eVENT as a waterproof fabric, but no manufacturer has yet to come out with a decent pair. To my luck, Asics makes a Gore-Tex running shoe called the Gel-Trabuco 12 GT-X and I ordered a pair. To make a long story short, I compared the Gel-Trabuco 12 to my lightest pair of Inov-8’s. In a size 14, the Inov-8’s weighed in at 441 grams. 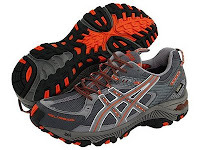 In a size 13 (Asics run large), the Gel-Trabuco 12’s came in at 490 – not too much of a difference. Their physical size and shape were about the same. The difference was in the comfort. When wearing one on either foot, the Inov-8 felt like I was walking on concrete when compared to the Gel-Trabuco 12. There was no comparison. The Gel-Trabuco 12 also didn’t feel so flimsy, although to the credit of the Inov-8, I’ve never had a problem with durability or fatigue. The bottom line is that the Inov-8’s in comparison felt very poorly cushioned. Also, where I wanted to hike in the Inov-8’s, I wanted to run in the Gel-Trabuco 12’s…and I knew they could handle it which was questionable with the Inov-8. Another thing I liked about the Gel-Trabuco 12's was an integrated pouch in the sewn-in tongue. The pouch enables the user to tuck the tied part of the shoelaces into it which prevents loose ends from catching to twigs - a nice option for a backpacker. Much like with any Gore-Tex shoe, the Gel-Trabuco 12 is a “hot” shoe. Especially in the summer, your feel will not be tremendously comfortable because they simply don’t breath as well as other shoes without the Gore-Tex membrane. The sole is average in the sense that I wouldn't describe it as a "lug", so it does well in most environments but might be inadequate for difficult hiking conditions. But, the good outweighs the bad and I’d rather have mildly sweaty feet good in most conditions than soaked and blistered feet which can't propel me up a hill that I'll rarely see. In short, if you’re looking for a pair of legitimate trail runners with Gore-Tex and the comfort you need – take a look at the Asics Gel-Trabuco 12…and decide whether to believe the hype. This is a gear review I almost hate to write because it is about an absolutely top notch product that I decided to return. Sorry to ruin the suspense. 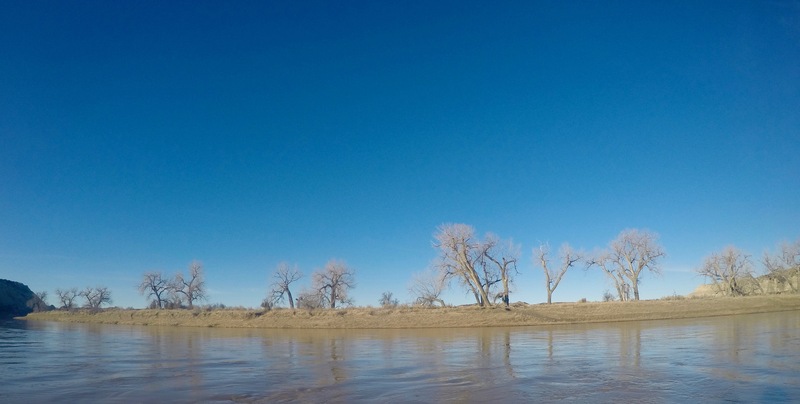 Hopefully this is obvious, but I generally don’t write about hammocking so I hope you read this as a really special item worth the attention. In the east, hammocking makes a lot of sense because most of our trails have an abundance of trees (and few laws which prohibit hammocking). Most of my time is spent on the Appalachian Trail and anyone who has hiked on the AT will confirm that it is often tough to find a level spot for a tent or tarp because the AT is like a never-ending stairmaster. With this in mind, hammocking offers a legitimate solution to solve this problem. Several years ago I went through a phase during which I tried out nearly every hammock on the market. My wife still reminds me now of all the money I lost in shipping costs alone. At the time, enough people used a hammock to let my mind wander from the traditional shelter methods and I found the concept of using a hammock to be intriguing. After all, I’d be off the ground and away from the bugs and moisture. Riding out a storm, horizontal rain, and ground water would also be easier to deal with. The problems with a hammock are fairly obvious. First, they aren’t very spacious when compared to a tent or tarp, they are hugging you 100% of the time, there is very minimal gear storage, they are often heavier than lightweight tent/tarp options, generally hammock users need to be creative to keep themselves warm due to heat loss from the bottom side of the hammock, and lastly, many do require the user to sleep like a banana which isn’t always comfortable. So I don’t receive nasty-grams by hammockers, yes certain hammocks can compete with lightweight tents and tarps as far as weight is concerned. Those that can are generally meant for summer use only (single layer) and they are often for persons around 150 pounds or lighter (fabric durability). And also yes, hammockers can stay warm by using everything from a closed cell pad, inflatable mattress, or even an underquilt which can be strapped to the bottom of the hammock itself which is plenty effective. And yes again, being bent like a banana can be mitigated to a great extent by lying diagonally or by putting something under the knees. Sag (taughtness) of the ridgeline also plays a role as does personal preference. Anyway, during my search for a lightweight hammock, I learned several things with the most important being the fact that at 6’6” and 280 pounds, there weren’t very many options. By default, I was either too long to be in the actual sleeping pounch of the hammock and hammocks which could hold me generally needed to be double layered which increased its weight to the point of it no longer being truly lightweight (in my opinion). Generally, double-layered hammocks are either used to support big people like me, for others who wish to use their hammocks in the winter as it gives them a place to store insulation (pad), or by some in jungle climates who are attempting to find greater protection from biting insects who can otherwise bite through one layer. To make a long story short (something I’m not generally known for), I tried hammocks by Speer, Claytor, Jungle, Jacks R Better, Mosquito, Eagles Nest Outfitters, and Hennessey. Most of these were quite good in quality, but none were comfortable to me. Truthfully, some were flat out annoying. With that, I gave up on any hope to use a hammock and that was that. This changed in spring 2009 when I met Brandon Waddy of Warbonnet Outdoors (http://warbonnetoutdoors.net/blackbird_h.htm) at Trail Days in Damascus, VA. I had heard about his “Warbonnet Blackbird” hammock as he challenged the typical design of hammocks by integrating an extended piece of fabric to serve as a footbox which effectively allowed the user to stretch out his/her feet almost entirely flat without being bent like a banana. To me, this is a H-U-G-E innovation in hammocking and truly mitigates likely the biggest concern most people have with hammock comfort. One other innovation he included in his product was a little wing on the side which can be effectively used as a gear shelf, again, something no other manufacturers offer. The Blackbird also includes a ridgeline (to ensure the same lay each time and to keep mosquito netting off the user). To date, no one other than Hennessey Hammocks uses a ridgeline because Tom Hennessey, the owner, has a patent on it (amongst other things which is why there has been little innovation in the hammocking industry as a whole). Brandon is challenging the patent in court, so he included it in his design (hopefully this won’t be the wrong decision legally). Like other manufacturers, the Blackbird can also be used as a chair which is a truly wonderful option for use in the backcountry. This alone also made me think twice about a hammock as it sure was a nice thought to be able to sit and rest without getting dirty or needing to carrying a seat pad (or chair for those of you who don’t count ounces). Meeting Brandon really caused my mind to churn about hammocks again. I wasn’t particularly fond of the weight, which with even a lightweight tarp would be slightly more than my lightest two person tent at around 46 ounces. My theory was that a good night of sleep was worth the extra weight and I had high hopes. With that said, I asked Brandon to build me a Warbonnet Blackbird made of double-layer 1.7 ripstop nylon (31 ounces) as this was really the only option for someone my size. If you were wondering, someone lighter and smaller can get a Blackbird as light as 17 ounces (just the hammock, not including a tarp). A mosquito-proof shelter at 17 ounces with, say a 6 oz Cuben fiber tarp or 9-10 ounce tarp of Spinnaker fabric, would make a nice 23-27 ounce full coverage shelter which makes a lot of sense to someone who enjoys the comfort of a hammock and wants to do it in lightweight style. Heck, that’s plenty light by most shelter standards. In case you were wondering, the lighter version is made of 1.1 ripstop nylon and costs $150 versus $160 for the heavier and double layer that I purchased. Dealing with Brandon was great and his product reflected impressive craftsmanship and outstanding design. Flatly, it also looked cool which for someone who bears a striking impression to Big Bird (me), I welcomed any help I could get. The hammock was very easy to hang, and really for the first time in my attempt to find a hammock, I found it plenty long enough, plenty wide enough, and extremely comfortable. All-in-all, the look, comfort, and quality were all top notch. I even thought the price was very reasonable compared to other options I saw from other vendors. Basically, I was convinced (and I still am) that it is the best hammock on the market with nothing even close. Unfortunately, after quite a bit of testing, I just couldn’t get comfortable enough in the hammock to sleep. I could doze off and lounging was great, but as far as legitimate “sleep”, I just couldn’t do it even after trying hard to wear myself out so I had no choice but to sleep. There was always something that bothered me such as the need to put something under my knees and head, and the fact that a minor shift of an arm or leg seemed to cause a ridge in the fabric which made me adjust other things. I just kept adjusting and adjusting and it was all such a fuss that it just didn’t work for me despite it honestly being the best, most comfortable, and most lay-flat hammock I’ve ever tried. I was also surprised to see how much heat was lost through the bottom of the hammock and it made me realize that at temperatures of anything less than about 70 some kind of pad or insulation would be necessary. I think my failure is far more broad than just the Blackbird however, meaning I simply don’t think I’m a “hammocker” because if I was, this would be the one I’d choose and I wouldn't cite the Blackbird as being the issue. So, for those of you out there in bloggerland who ever thought of giving a hammock a try, I simply can’t say it more concisely or honestly that the Blackbird is the best option I’ve tried. 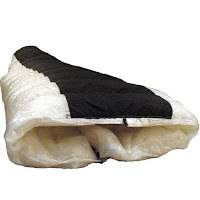 If you choose to go that route, consider a nice tarp by another great cottage industry manufacturer such as Outdoor Equipment Supplier (http://www.outdoorequipmentsupplier.com/) or an underquilt from Jacks R Better (http://www.jacksrbetter.com/) or Te-Wa (http://www.te-waunderquilts.blogspot.com/). Like I said, I can’t say enough nice things about the Blackbird or Brandon and this is one of those backpacking purchases I truly regret not working for me. Around the end of the year I like to mention specific backpacking websites and blogs which I enjoy. I also often have blogs which I write long in advance and release them at dates scheduled in the future as I want content to keep flowing so my site doesn’t get stagnant. Well, I wanted to break from tradition and mention a fairly unknown website both because I’m intrigued by it and because there is stuff which others may be able to use today. With that, check out “Suluk 46 Engineered Backcountry Gear” at http://www.suluk46.com/index.html. This site is run by a 31-year old mechanical designer from Canada who, in my opinion, is someone who truly thinks “outside the box”. The project which he was working on that drew my attention was an 11 ounce cuben fiber/pertex momentum down quilt which is an absurd notion that may very well change lightweight backpacking. He also has developed a very functional way to bond cuben instead of sewing through it which ultimately makes it a stronger and less fallible product. He has other great ideas, like how to shorten a NeoAir and a very lightweight titanium stove and ice axe. His background allows him to both think broadly and offer interesting research regarding strength to weight ratios. He is working on many things here and there and has only a handful of items for sale…but his ideas are forward thinking enough that he may very well have a great future. I was fortunate enough to exchange a couple e-mails with Steve Evans as I was admiring his Cuben quilt and was doing my best to pursuade him into possibly making some LONG shelters out of Cuben. He is 6'3" and understands my plight. To my joy, he said he was looking into it with some seriousness and I can only hope it becomes a reality.